A Park Avenue fertility doctor has broken the age barrier for women longing to be moms. Dr. John Zhang says a 49-year-old patient at his New Hope Fertility Center gave birth this month to a baby conceived with her own egg frozen at age 48 -- the oldest on record. "She's beautiful and healthy," the jubilant mom e-mailed friends after delivering her long-awaited daughter. "She's definitely the love of our lives!" The infant might have made history in the world of in-vitro fertilization, which kicked off in 1978 with baby Louise Brown. "To the best of my knowledge, the oldest woman who has gotten pregnant from IVF with her own egg is 45," said Dr. Richard Paulson, a professor in the Division of Reproductive Endocrinology and Infertility at the University of Southern California, and a pioneer in the use of donor eggs. "This would be considered a major scientific advance and get a lot of attention." Most clinics don't push the envelope past age 43, as a woman's fertility is said to drop sharply after 40. NYU Fertility Clinic and Columbia University's Center for Women's Reproductive Care cut off IVF to women with their own eggs after age 45. Their only option is donor eggs from younger women, who are paid fees up to $10,000. Zhang is submitting a paper on the 49-year-old mom, and a 48-year-old woman who is now pregnant with her own egg frozen at age 47, to the journal Fertility and Sterility. "For any loving couple, it's one of the greatest gifts," Zhang told The Post. "Both the doctor and the patient should not give up easily just because of a woman's age." Zhang says he practices "outside the box" for healthy, menstruating women up to 49 -- and possibly 50 -- who desire their own biological offspring, despite the odds. About 5 percent will have a baby, he says. His key: a "natural" or "mini-IVF" using little or none of the powerful drugs normally given to stimulate multiple egg production. He works with just one or two eggs a month. Zhang's 49-year-old new mom first came to New Hope in January 2007 at age 46, after failing to get pregnant in three inseminations and two in-vitro tries with heavy fertility drugs at another clinic. The mom, who asked to remain anonymous, told The Post she and her husband turned to New Hope when the other clinic insisted on using donor eggs. "They respected my desire to try to use my own eggs and continued to work with me," she said. "They were open and honest about whether or not this was still a viable possibility." Her treatment took almost two years, with procedures nearly every month. In some cycles, no egg developed. Some months, an egg could not be fertilized, or a transferred embryo did not result in pregnancy. One pregnancy ended in miscarriage. Finally, an embryo frozen in September 2008 was put in her womb in March 2009 -- and that did the trick. It's not cheap. Zhang charges $4,800 to $8,400 for a "three-cycle package," which covers retrieval to transfer. The fee is $8,500 to freeze three cycles of eggs. But it costs less than conventional IVF, which adds $2,500 to $5,000 for drugs. 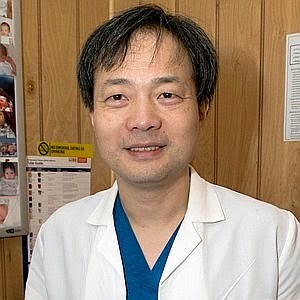 Zhang, who opened his Upper East Side clinic in 2004, each year treats 60 to 80 women over 45 who want babies with their own eggs. Five to eight give birth each year, he said. He offers donor eggs as a "last resort." The oldest patient had twins at 52 from donor eggs.